This course is open to students across the University and credit and letter grades are possible for those outside of the School of the Arts. Digital Storytelling: Immersive Production is a semester-long course offered in the fall. The course is taught by Lance Weiler, Associate Professor and Director of the School of the Arts’ Digital Storytelling Lab, and is open to all Research Arts students as a non-credit course for those within SoA and credit and letter grades for those in other schools. The course is open to students within SoA and across the University. What if we built an environment that modeled negative conversations and behaviors found on social media platforms and in the real world? Inside of this environment, situations quickly escalate. But this time, we would be able to do something about it. Imagine a space where a diversity of participants work together through story, play, design and collaboration to de-escalate situations that stem from misunderstanding and polarization. To create this “De-Escalation Room” we’ll harness emerging technologies, collaborative methodologies and field research to design and build an innovative empathic simulation that is a learning environment that can scale. Teams of 5 to 6 students will work to design, build and deploy a digital storytelling experience modeled on data derived from research conducted by SAFELab within the school of social work.SAFELab’s research examines a rise in real-world violence linked to social media behavior. At the end of the semester, we will stage our escape room for the public. This course combines project work, mentors, and collaborative methods to create a dynamic, hands-on environment that mixes story, code and experience design. 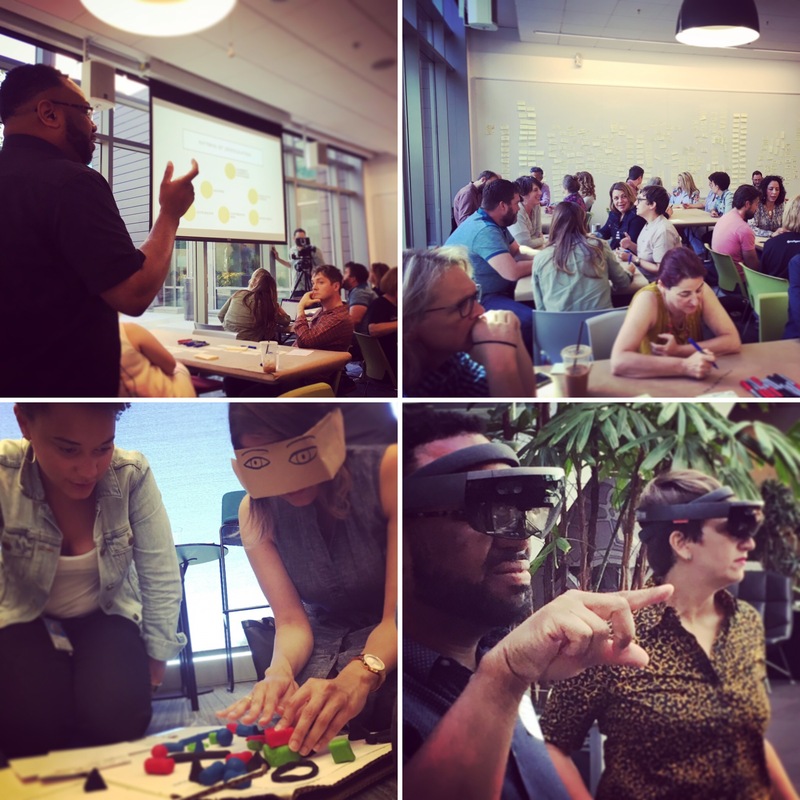 It will guide students through a design process uniquely tailored for experiential environments, combining elements at the cutting edge of immersive storytelling in film, gaming, theater, and emerging technology. In addition, teams will have the opportunity to share work and receive feedback from working industry professionals, across a variety of disciplines.